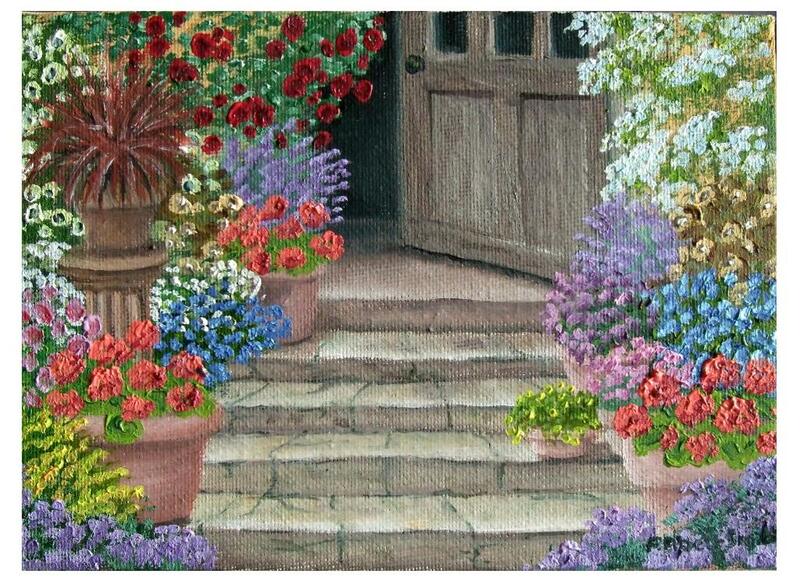 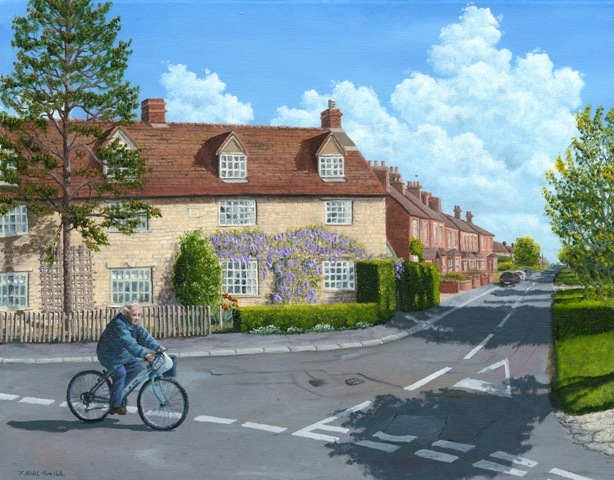 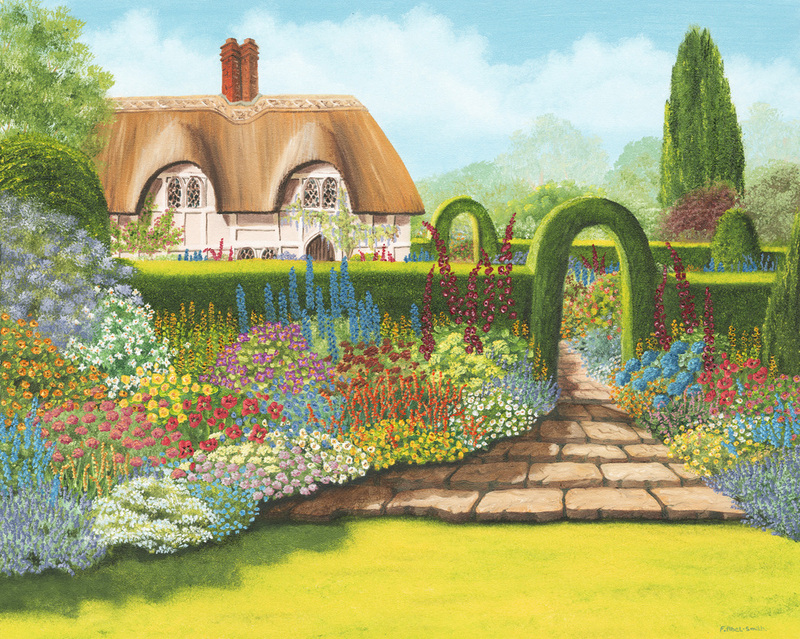 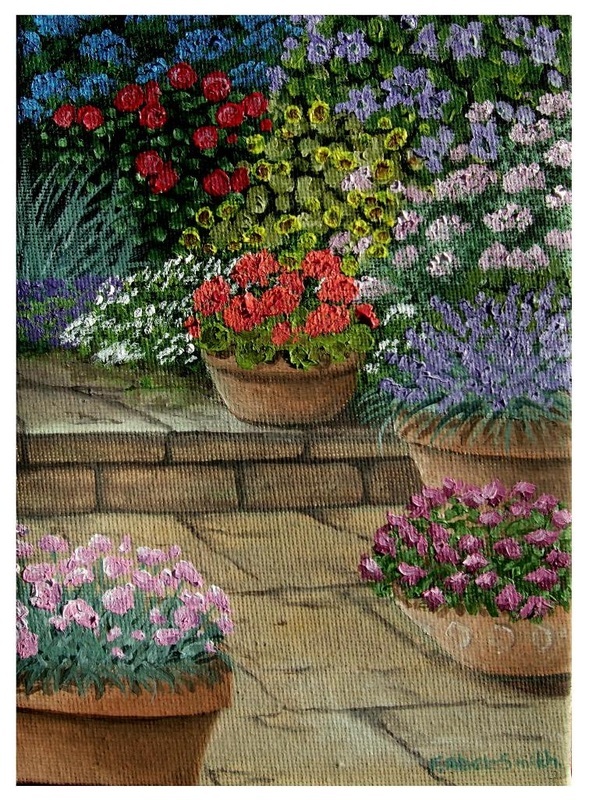 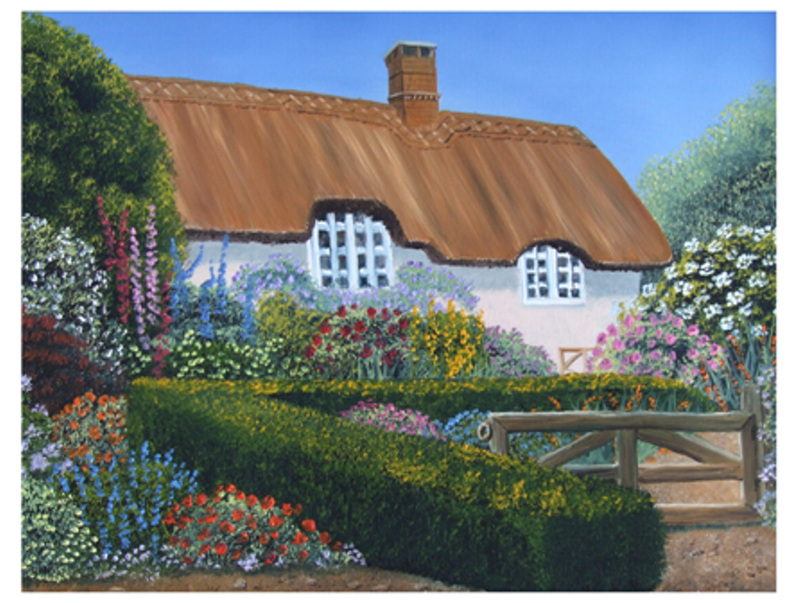 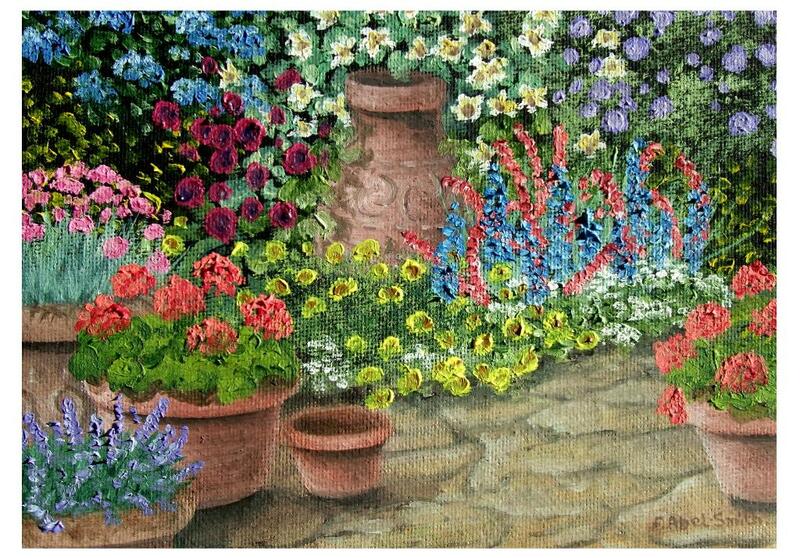 Living in a wonderful, quintessential English Village, and being a keen gardener when I was younger, I love painting village and cottage garden scenes. 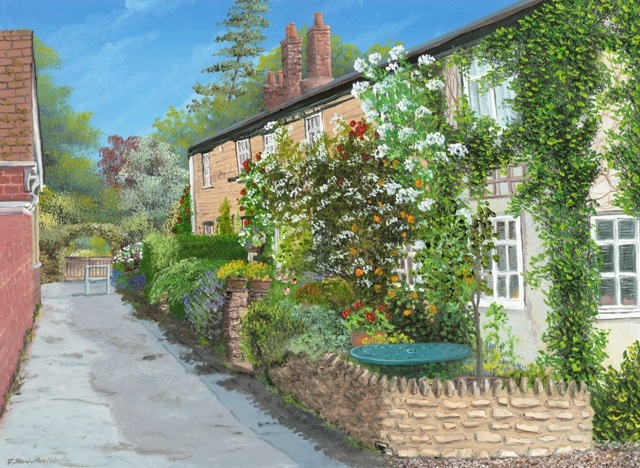 Some are of my nearby streets and gardens, others are taken from bits of photos here and there, and some are completely from my imagination. 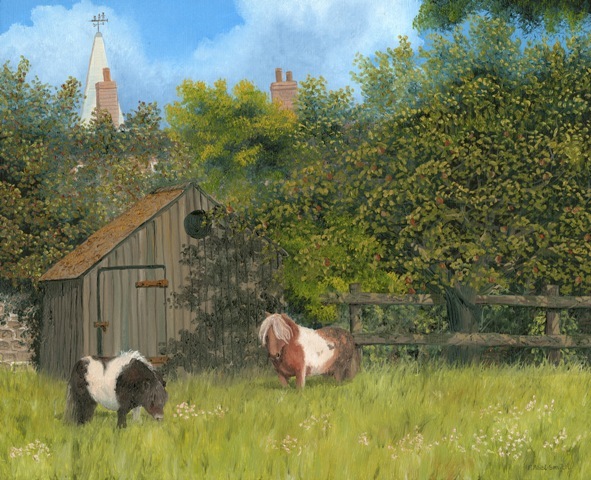 They make me happy when I paint them as they invoke images of warm English summer days, and they must do the same for others as they seem to sell almost as fast as I paint them. 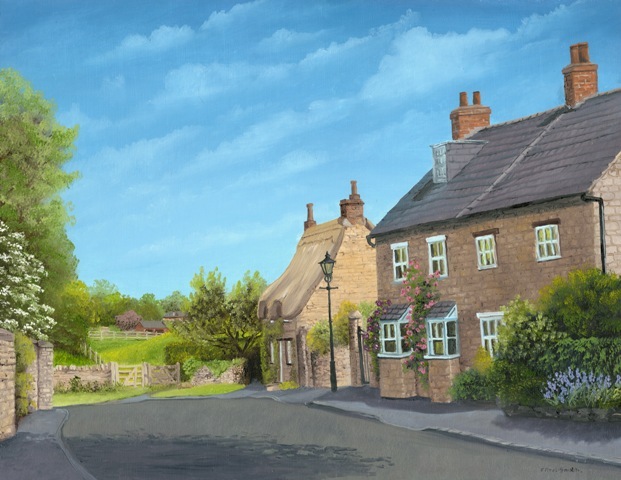 If you like the look of any of the paintings in the slideshow, simply scroll down the page for details of any available painting, its price, size and whether you can buy it as a print. 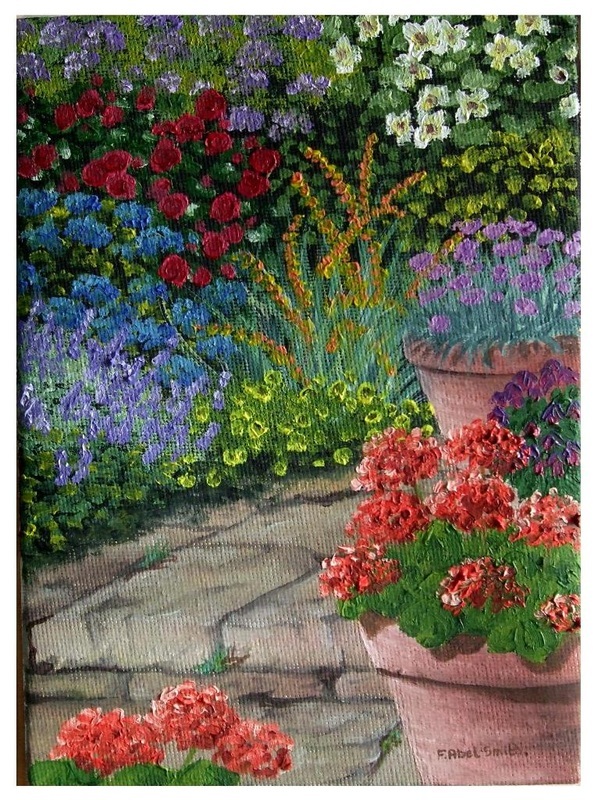 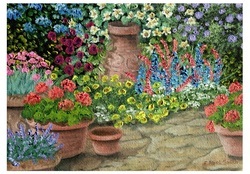 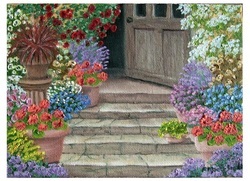 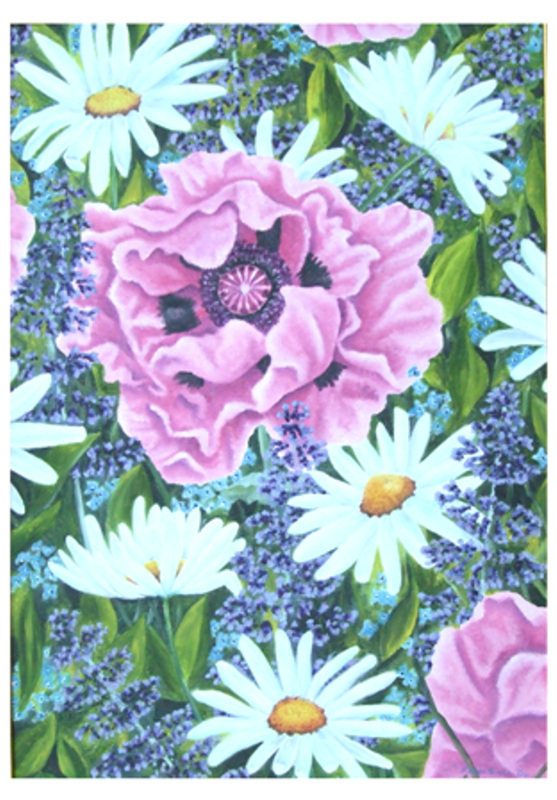 With all my all my paintings done on Block Canvas, the painting continues around all sides. 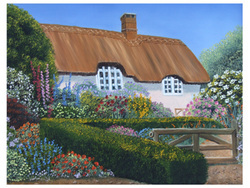 Currently in a dark wood with inner gold trim frame, total size - to follow.